Experience has led me to be suspicious of Jerusalem Artichokes. A friend gave me a bagful some years ago and I made soup with them. The after effects meant I was cautious in my consumption. 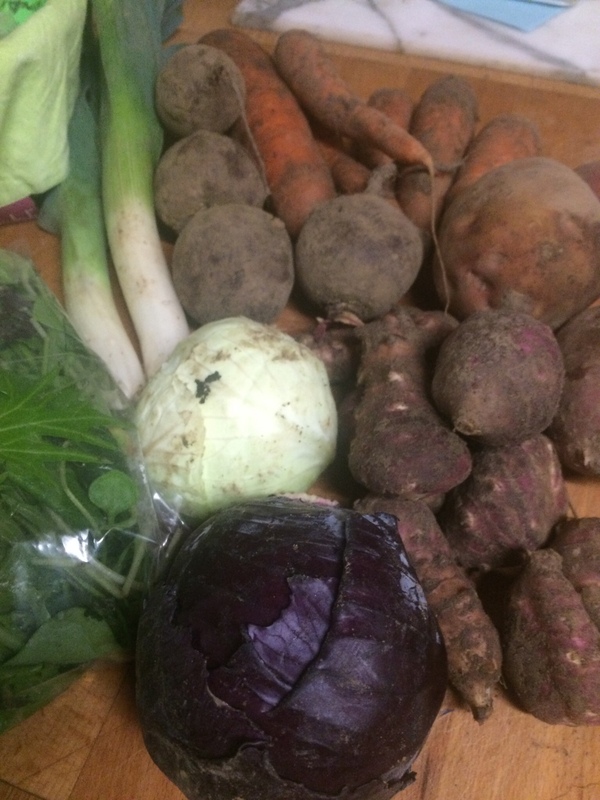 Happily I still love cabbage, carrots, beetroot and leek. 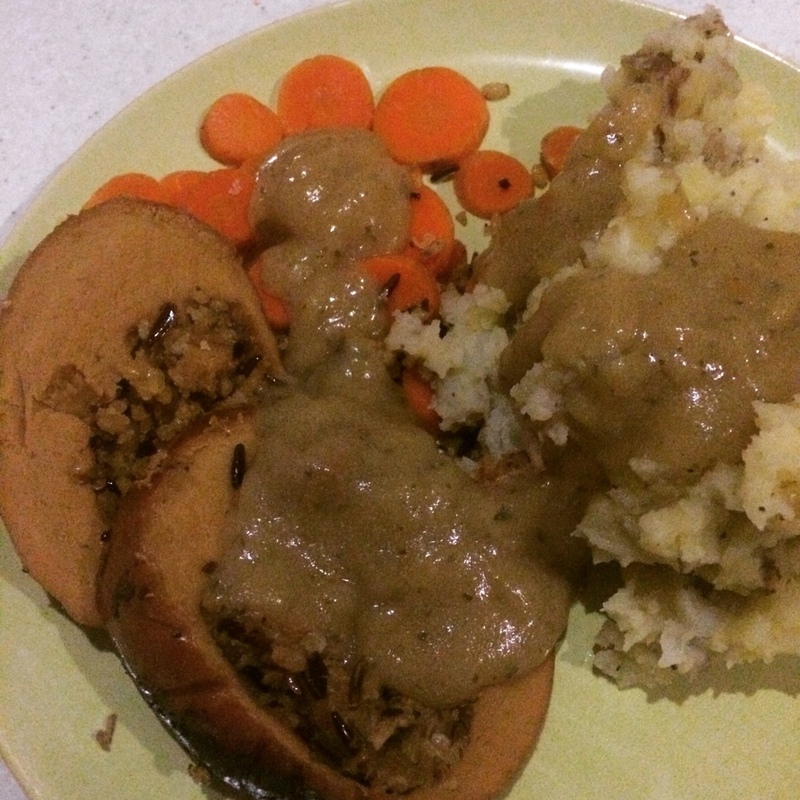 A Tofurky roast had been defrosted and it was going to be eaten Friday, then Saturday and finally got cooked and served on Sunday night with potato and Jerusalem artichoke mash and carrots. It was worth the wait! This was the perfect lunch – filling but not so filling I wanted to doze all afternoon. 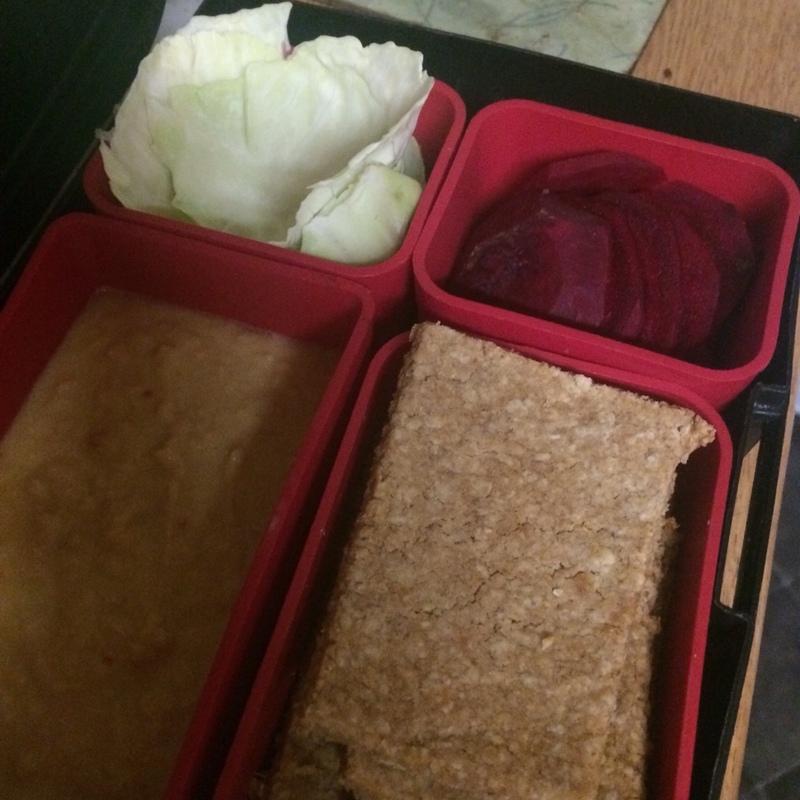 Homemade marmite oatcakes, homemade chilli hummus and some white cabbage leaves and beetroot slices. A wonderful mix of flavours, colours and textures. 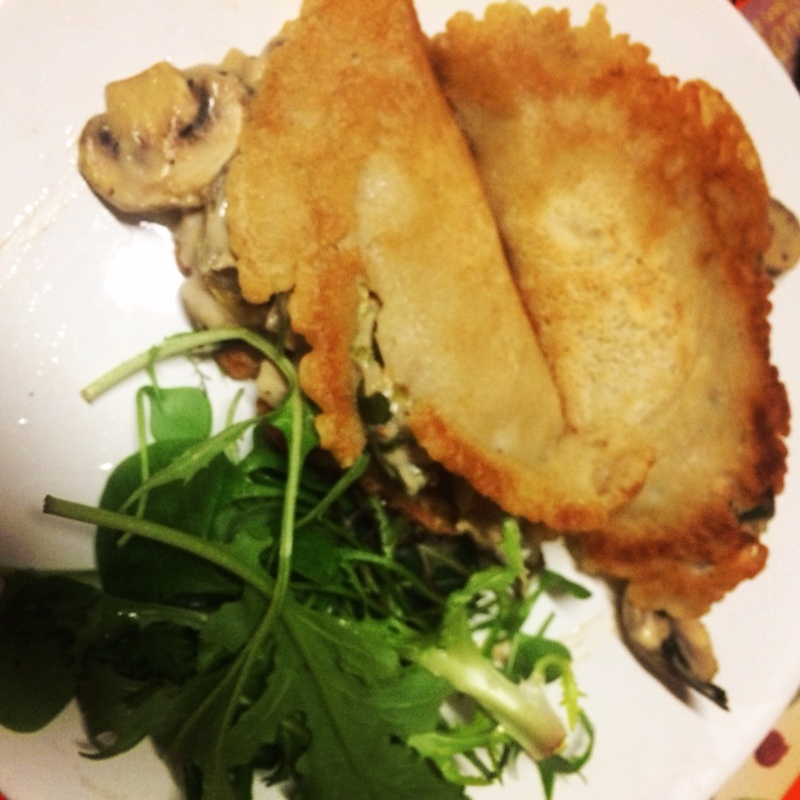 I love pancakes so I filled these with leeks and mushrooms in a creamy cashew sauce to make them even tastier. 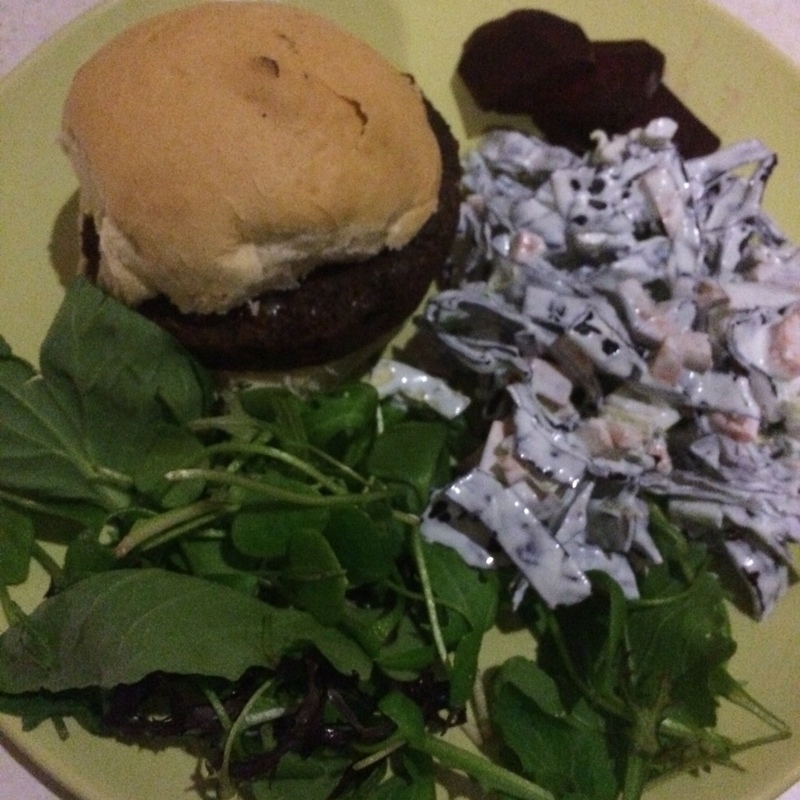 I love the lilac colour of this coleslaw made with red cabbage, spring onions and carrots. It tasted great; the perfect mix of creamy and crunchy. 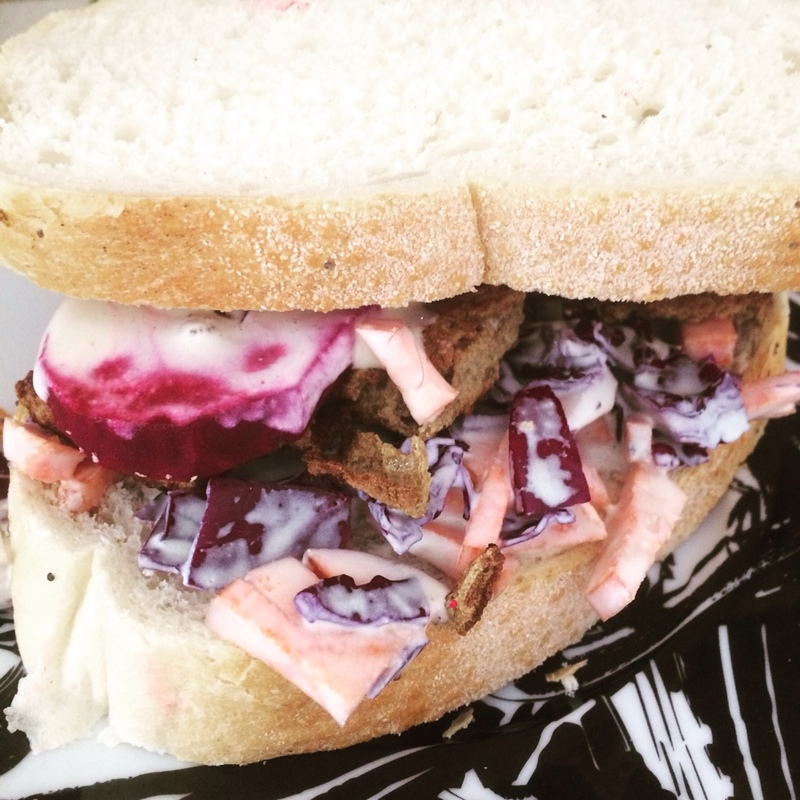 this time in a sandwich with fried homemade tofu and beetroot slices. This was very messy to eat but so good. So purple food – yes. Jerusalem Artichokes – not so much. Anyone got a great receipe for the latter?